First, measure the distance across your shoulders. Add a 4 inches to this measurement. This is the distance between the centers of the holes you're about to cut. Line this distance up on the box so that you have a couple of inches between the edge of the hole and the sides of the box and mark the points for the centers. Set the couplings over the marks and trace around them to create your templates (sharpie wipes off with alcohol). Cut the inside of the circle out using the dremel and a cutoff wheel. Leave about 1/8-1/4 inch between the hole and your template. Switch over to one of the grinding wheels in the dremel and smooth out your holes to the template marks. 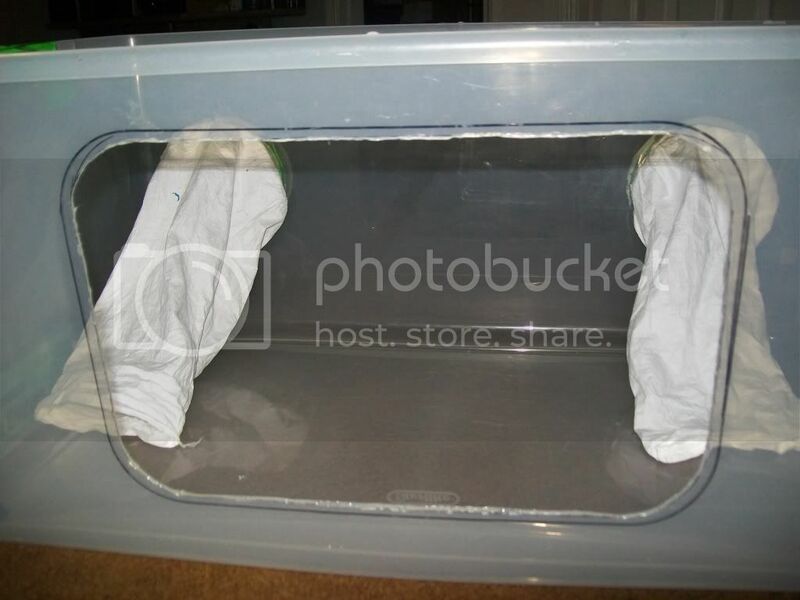 Make sure it fits a little loosely so it leaves room for the tyvek. Measure 1 inch from the bottom of the couplings and draw a line all the way around them at this point. Cut the sleeves off of the tyvek suit to the length you need them for your arms and pull them over the couplings so the line you just drew goes down towards the cuffs. Drill four holes (evenly spaced) in the PVC couplings at the 1 inch lines (DO NOT DRILL ALL THE WAY THROUGH THE PVC). 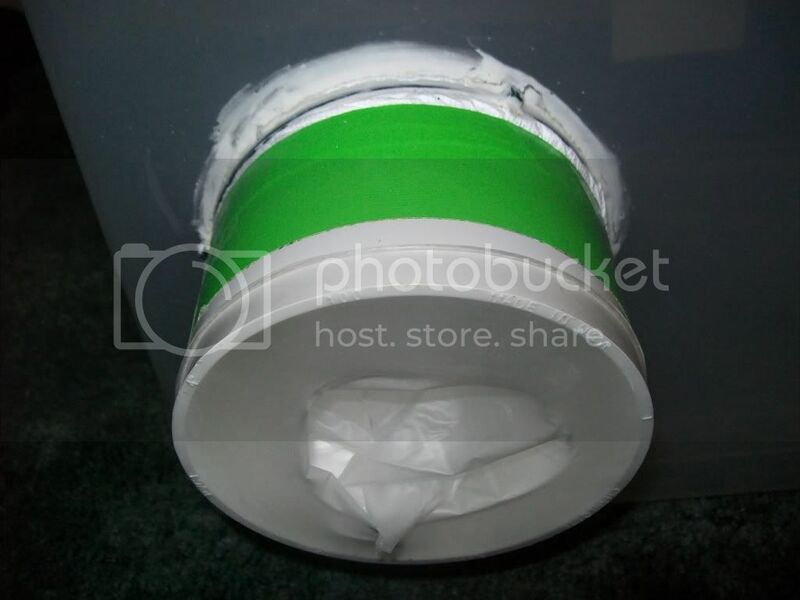 Put the screws through the tyvek and into the PVC These screws help to keep the couplings from falling into the box. Push the arm pieces from the inside of the box up to the screws. 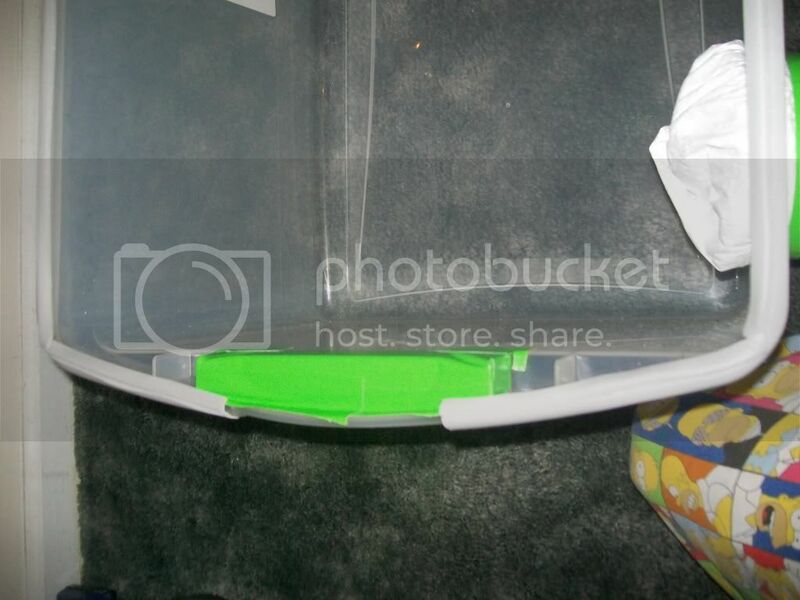 Tighten the zip ties on the outside of the box. Tape the excess tyvek down to the PVC. Cut the fingers off the latex gloves to make a small latex sleeve.Stretch the gloves over the outside of the couplings and tape them down. Caulk around the inside and outside of the couplings to seal any air leaks. Do not use RTV silicone gasket maker. It comes right off of the plastic, when the PVC shifts from you working. If you have to use RTV you can get the grinding wheel back out and rough up about a 1/2 inch around the hole you cut and the area on the pipe so the RTV has a better surface to adhere to. 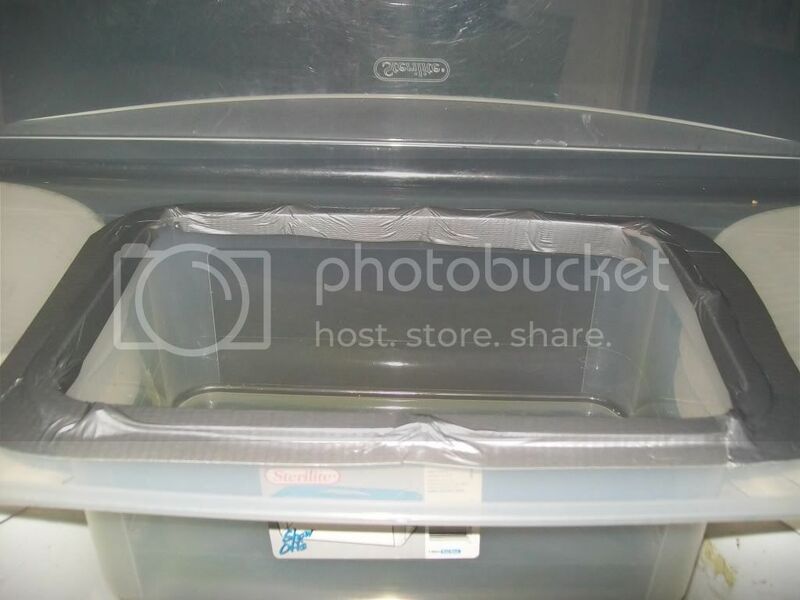 Also if your box has handles like mine you should tape over the holes in them. Put the foam on the top of the box (where the box and the lid come together). Clean/sanitize everything and get to work. 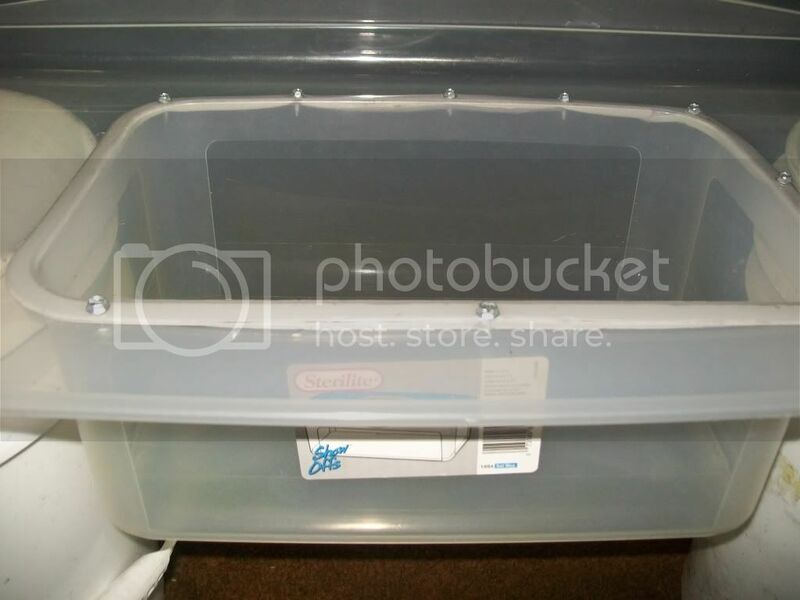 Take your straight sided bin and trace the bottom of it onto the back of the tub opposite the arm holes. Cut it out just like you did before leaving the little extra between the line and the actual cut. 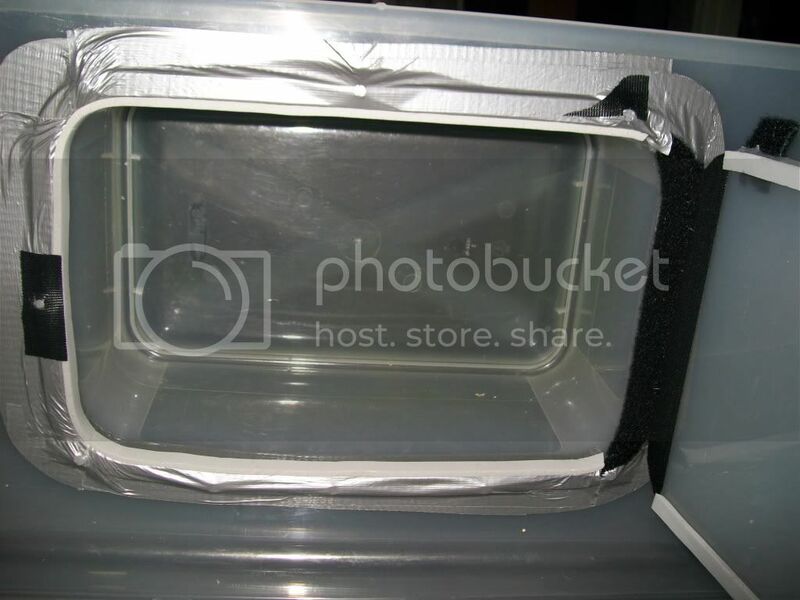 Apply weather stripping to the underside of the lip on the smaller bin and screw it in place with sheet metal screws, be careful not to over tighten the screws and strip the plastic out. 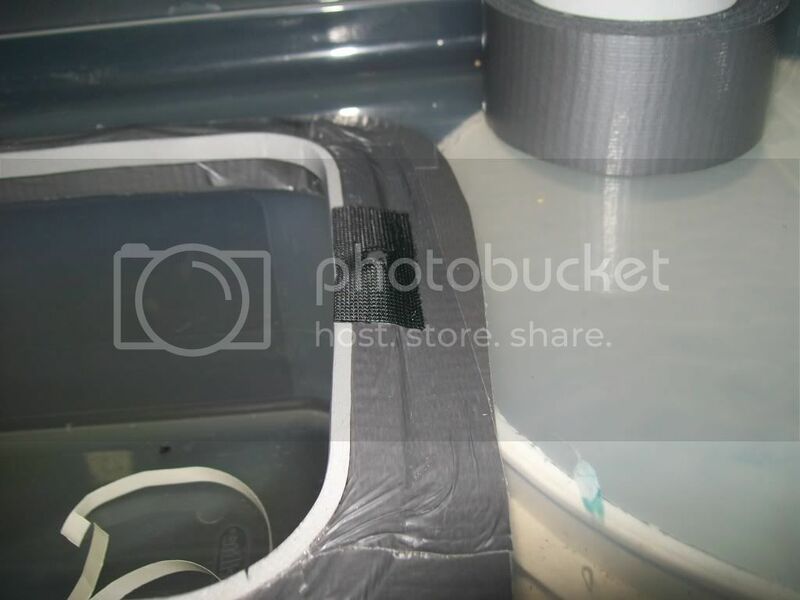 Duct tape over the screws and the edge where the two bins meet, inside and out. 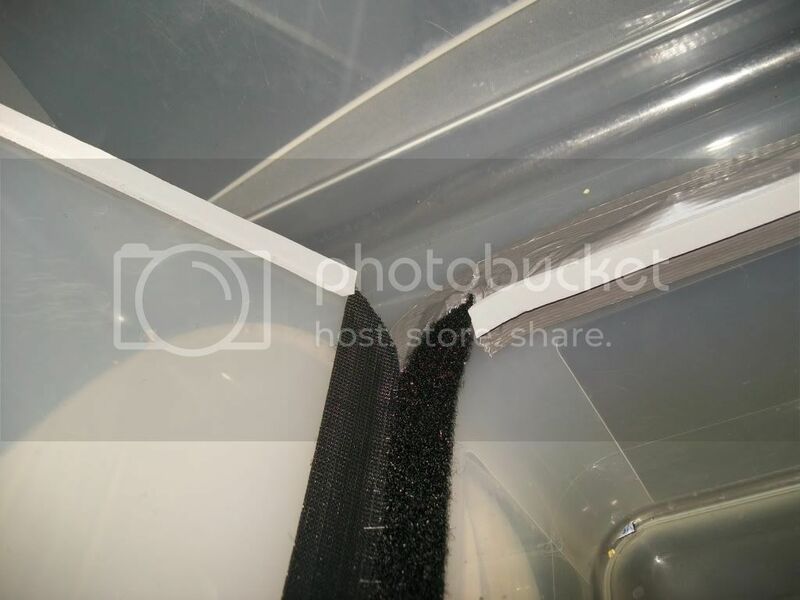 Put velcro on one side of the new bin (either right or left) and the piece you cut out, this will be your hinge when its complete. 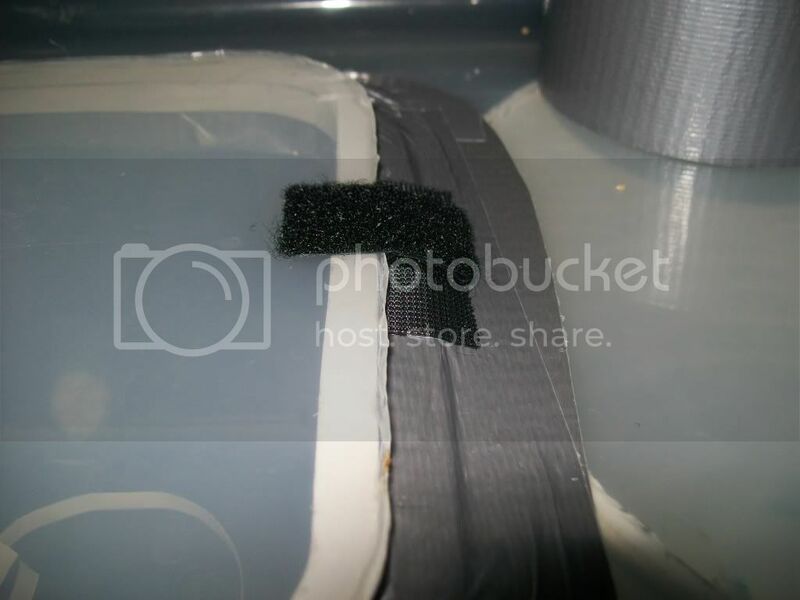 On the opposite side of the hinge apply a small piece of velcro to close the other side of the door. 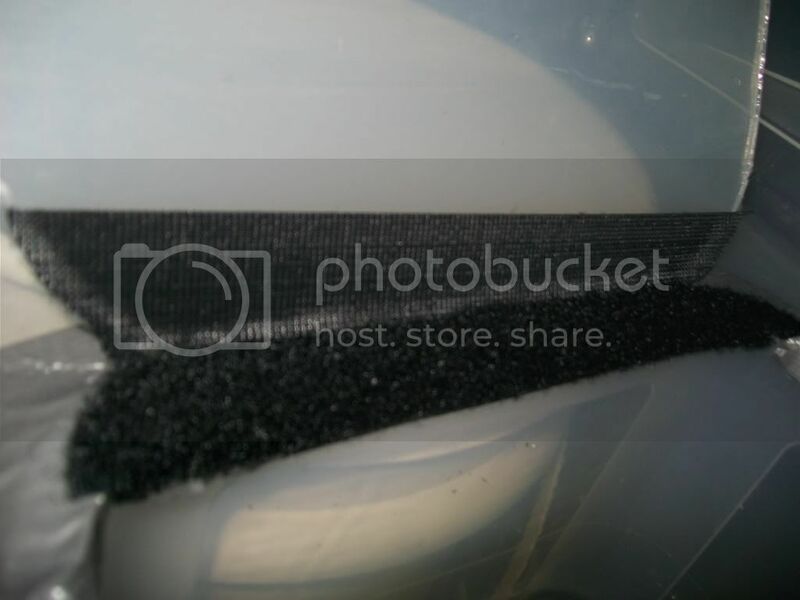 Punch a small hole in one side of the velcro to allow the head of the screw to push through so it seals well. Double check to make sure there are no gaps. 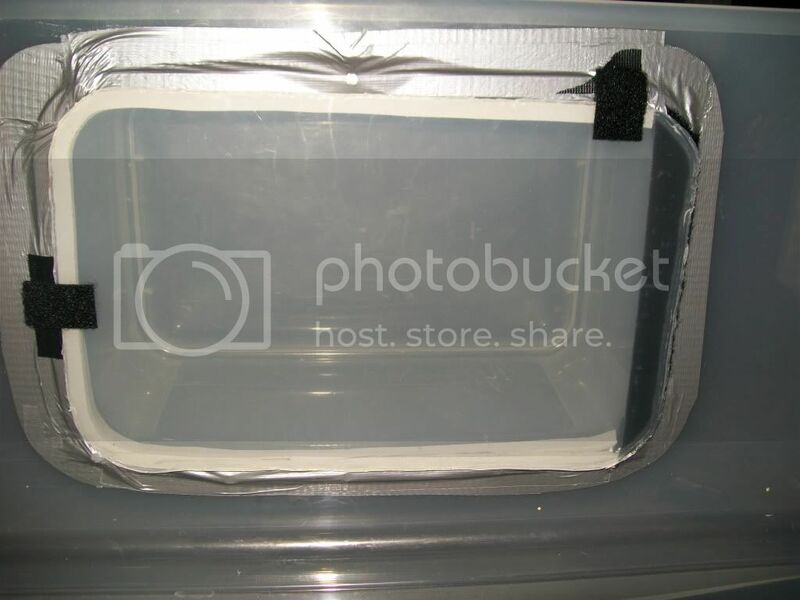 If there are apply a small piece of velcro over the top so it can be pulled tight and sealed. Wipe your box down with alcohol before and after you do any work in it. Always make sure the top is sealed correctly. 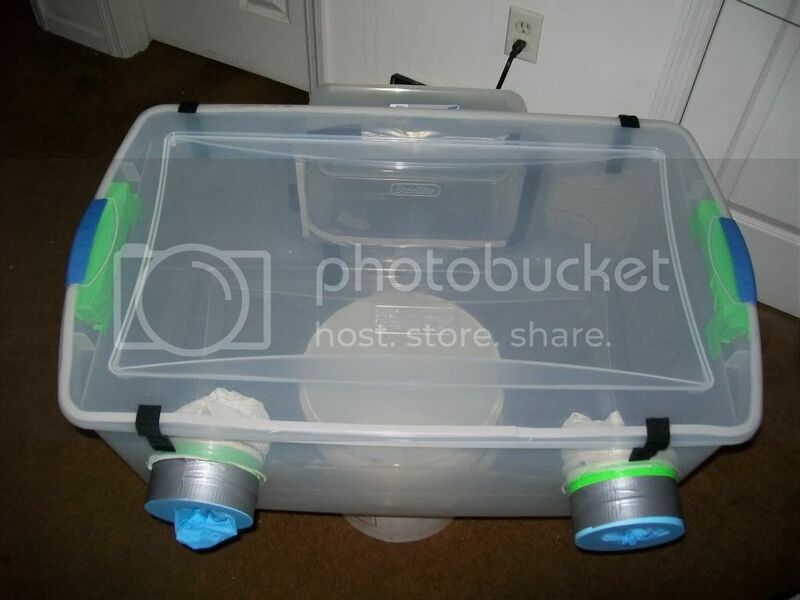 Let gb sit for 5 to 10 minutes before you being using it to allow airborne contaminates to settle out. Try to move a fluidly as possible to minimize the chance of stirring any contaminates back into the air. Do not light an alcohol lamp inside a gb. While the lamp sits there unlit alcohol fumes build up and can explode. Do not put lids face up on the bottom of the gb. The shiny side should be the side that sits on the bottom with the white side up (The side with the seal, unless you invert your lids when you pc them). I'm wondering where the gloves come in though - do you put them on before using the glovebox? 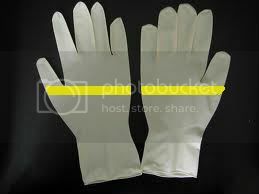 yea Sug you put the gloves on your hands before you put your arms in the box. I may end up getting some really thick shoulder length gloves and replacing the tyvek sleeves with those. Great Tek dude! I did the same thing except I used Flanges and Spacers as the arm holes. That is a sick Version 2.0!! Excellent write up man! Epic! I like! hell yea man stiff competition. i made one of these and i LOVE IT! Great tek hands down, mine was a bit different in design but very similar and it works great!